During my past two wash days, I stared down at my drain cover in shock, awe, disbelief, and personal tragedy. At the end of my most recent wash day shower, I almost did a slow wall slide as I picked up a wad of hair about twice as big as normal. I'm going bald. I'm losing hair. My life as a hair blogger is officially over. I might as well go'n get a perm. Snap out of it, Christina! It's friggin Springtime. 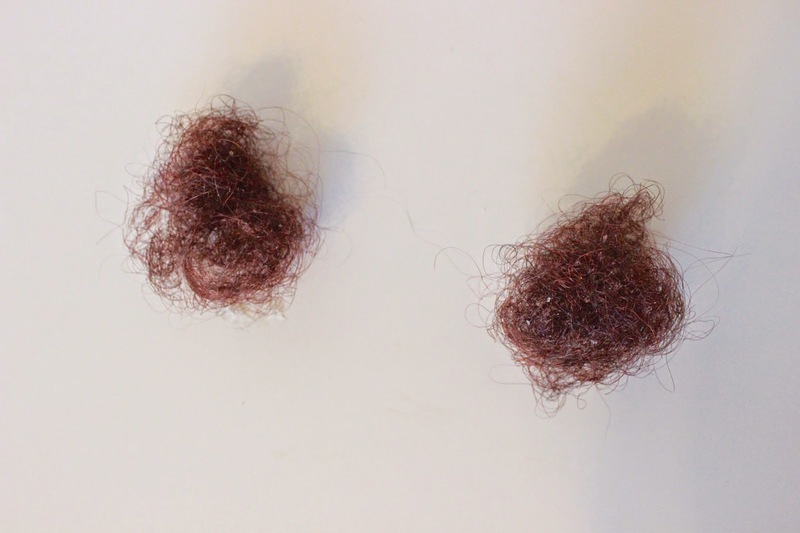 In Spring I shed more hair -- sometimes 2 or 3 times more than I do in Fall and Winter. After I got a lightweight hold of myself, I realized that I go through this epic saga of mini-drama Every. Single. Year. I start feeling good about myself around September like, "oh-kay hair, we got this! ", when I see a small amount of shedding after wash day. Those good vibrations continue through February or March, and between mid-March and April, I lose my ish. I start wondering if I'm detangling too much, if the 94 vitamins I take a day (exaggerating of course) is not enough, if I'm balding, and if life itself is coming to an end. I finally get my life together, realize that it's normal for me, and deal until Summer. September rolls around again, and it's all lather, rinse, repeat from there. Sometimes it's hard for me to remember that because LA only has two seasons -- Summer, and the rest of the year. I can't distinguish Spring from Fall, and Fall from Winter. It's just hot and dry, with some occasional clouds and "rain". My apologies to those of you all with real weather and whatnot. But I digress. 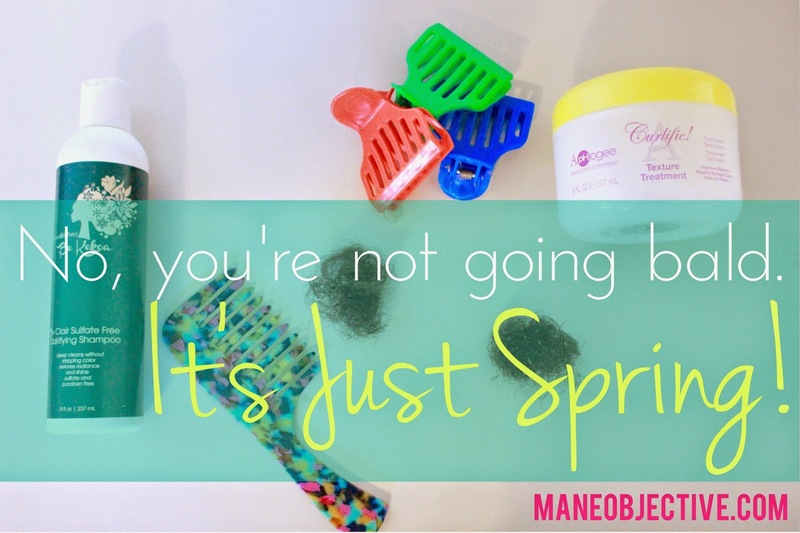 Seasonal hair loss is a real thing, and many women report seeing increased hair loss in Spring or Fall -- and sometimes both. Consider this your friendly reminder, and my attempt in helping you to be less like me. Inasmuch as we are "evolved" higher forms of life (there are quotation marks around evolved because well...people. ), we are still mammals. Although more visually drastic, mammals of all classes (Kings Play Chess On Fine Green Silk #boom) shed seasonal coats of fur in Spring and Fall. There's some scientific rationalization and jargon that goes into why this likely happens -- having to do with prolactin, melatonin, and daylight exposure. But I'm not particularly interested in all of that, and neither are you. Okay, maybe a little. Really, you and I just want the same comfort in knowing that we're not going crazy, and we're not going bald. What's interesting to note is that even with increased seasonal hair loss, most people don't reach the upper limits of 100 shed hairs per day. Although not extensively studied (because apparently, scientists and researchers have real priorities), it is believed that most people who shed closer to (or lower than) 50 hairs per day in fall/summer don't surpass the 100 hair per day threshold in shed seasons. So even though you're loosing more hair, it still falls within the range of "normal", and your hair shouldn't look or even feel noticeably thinner. But please also be aware: there's a difference between shedding and breakage. Yes I saved them for this post. Judge me if you must. Have you noticed or experienced increased shedding during Spring or Fall? Share your experience in the comments! That comb in the picture is so pretty it was distracting me. Where can i purchase one?